Thousands of Americans, particularly women, will experience at least one painful bunion in their lifetime. Bunions are a deformity in the structure of the bone, and they are commonly caused by wearing narrow or tight shoes. Luckily, bunions can be prevented if you wear the proper shoes, but there are times when injuries or genetic disorders cause them. Most doctors will tell you that bunions can only be cured through surgery. While many cases do require surgery, there are natural cures that can help relieve the condition and the pain associated with bunions. Let’s take a look at some natural cures for bunions to try before jumping into surgery. Bunions lead to inflammation and pain of the bone. Just like with other cases of inflammation, using a cold compress or ice pack can help to reduce the inflammation, which will also reduce the pain. You have to make sure that you apply an ice pack two or three times a day to see a real difference in the pain. You don’t have to use a store-bought ice pack! All you need to do is put some ice cubes into a sandwich bag. Then, wrap it in a towel and apply to the area. Leave it on the area for at least 10 minutes several times per day. If you need an excuse to receive a foot massage, a bunion is a great reason. 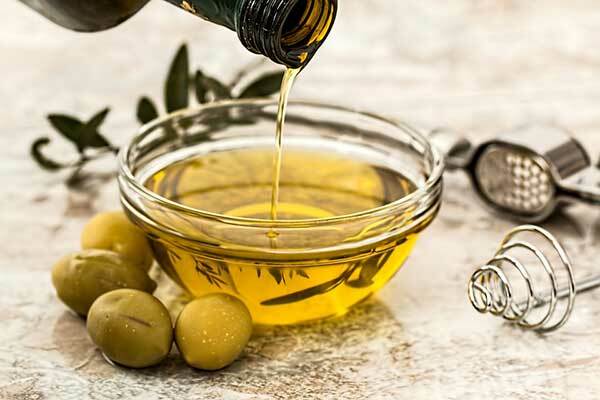 Warm up some olive oil and massage the area with the bunion, along with your toes and lower foot. The best results come when you massage for 15 minutes twice a day. Massaging the area helps to improve the circulation and blood flow to your entire foot and toes. Doing so allows fluid to move freely around the bones, especially the area with the bunion. Improved fluid movement nourishes and lubricates your joints. Over time, doing so can reduce the layers of calcium of the bunion, therefore reducing the size of the bunion! Sometimes, I wonder what Epsom salt cannot cure. It is one of the best natural remedies to keep in your cabinet. They are fantastic for bunions. You will find that Epsom salt can reduce the pain and inflammation because it contains magnesium sulfate. It also helps to soften your skin. Who doesn’t want softer feet? 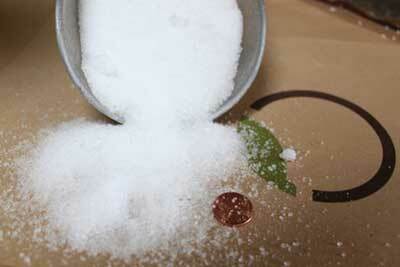 To use Epsom salt to cure your bunions, you need to dissolve one-half cup of Epsom salt in a bucket of warm water. Soak your feet for 30 minutes. Do so daily for the best results. At the same time, you want to avoid foods that cause inflammation. Unfortunately, those foods tend to be the ones that most people enjoy. Inflammation causing foods increase white bread, pastries, pasta, French fries, fried foods, soda, sweetened beverages, red meat, hot dogs, margarine, and lard. Chances are you already love several of these foods! Pineapples, for example, are a natural source of bromelain, which can decrease the size of your bunion. If you aren’t a fan of pineapples but want to try bromelain, you can also purchase it in capsule forms. Take one of those daily. If you like the idea of an Epsom salt soak, chances are you will like the idea of an aspirin soak. Aspirin is a well-known cure for bunions. You need to take three to four tablets and grind them up. Add them to a bucket of warm water. Let your feet soak for 30 minutes. The aspirin soak will reduce swelling and help relieve your pain. However, some people do notice skin irritation, so pay attention!